The USD 2 million Holcim Awards encourage best practice and inspire architects, engineers and developers to adopt sustainable parameters for their building projects. The Holcim Awards has completed its second three-year cycle with Global prize hand-over ceremonies in Fez (Morocco), Ho Chi Minh City (Vietnam), Beijing (China) and San Francisco (USA). The diversity of the winning projects shows that world-class sustainable construction solutions not only consider environmental impact – but also deliver economic and social performance as well as architectural quality and provide break-throughs that can be effectively transferred to other projects. The hand-over events for the Global Holcim Awards 2009 featured addresses by Director General of the International Union for Conservation of Nature (IUCN), Julia Marton-Lefèvre (Switzerland); Chair of the OECD Round Table on Sustainable Development, Rt Hon Simon Upton (New Zealand); Director and Head of Planning and Integrated Urbanism of Arup, Peter Head (UK); and Robert S. Lynd Professor of Sociology, Columbia University, Saskia Sassen (USA). The speakers commended the Holcim Awards competition for promoting critical interdisciplinary and long-range perspectives by showcasing a range of projects that demonstrate sustainable construction in practice. The competition seeks to unite diverse global expertise and increase awareness of the critical role of the built environment in sustainability by advocating best practice, pioneering fresh solutions, and inspiring architects, engineers, planners, developers and contractors to adopt sustainable parameters for all their building projects. Holcim Ltd CEO and Chairman of the Holcim Foundation Management Board, Markus Akermann (Switzerland) explained that the purpose of the competition was to promote sustainable approaches to design, construction, use and recycling within the building industry. “With the Awards, the Holcim Foundation wants to stimulate discourse on the subject of sustainable construction and generate momentum toward the realization of leading edge projects around the world,” he said. The global prize winners reflect the variety of approaches to sustainable construction. The top prize was awarded to a comprehensive plan to rehabilitate the Medina of Fez. The Holcim Awards Gold winner was praised by the jury for applying the economic, social and ecological benefits from the recovery of the heavily-polluted river and the rehabilitation of the old town’s architecture, revitalizing public spaces and traditional tanneries, creating new pedestrian zones, promoting the growth of wetlands and biodiversity, reestablishing older craft industries and sensitizing the population to ecological issues and the benefits of a clean city. The other global prize winning projects were a new university campus with a focus on ecological and aesthetic factors that aspires to achieve harmony with both people and the environment in Vietnam’s Mekong Delta; a project emphasising social and ecological performance in a rural community in Beijing’s district of Shunyi that increases land use efficiency and reduces the community’s ecological footprint; and a San Francisco-based project offering a solution for day laborers and the surrounding communities dedicated to social performance. Chair of Planning and Management in Construction at the ETH Zurich, Hans-Rudolf Schalcher (Switzerland), as member of the global jury explained that although the winning projects illustrate very different approaches to sustainable construction – the transferability of ideas was a common factor in each of the winning projects. “All winners illustrate what sustainable construction means – many good ideas to be transferred within a professional area of expertise, and an impact on furthering sustainable construction”, he said. In five regional and a subsequent global competitions, the Holcim Awards encourages architects, planners, engineers and project owners to go beyond conventional notions of sustainable construction in their work and to harmonize ecological, social and economic concerns. 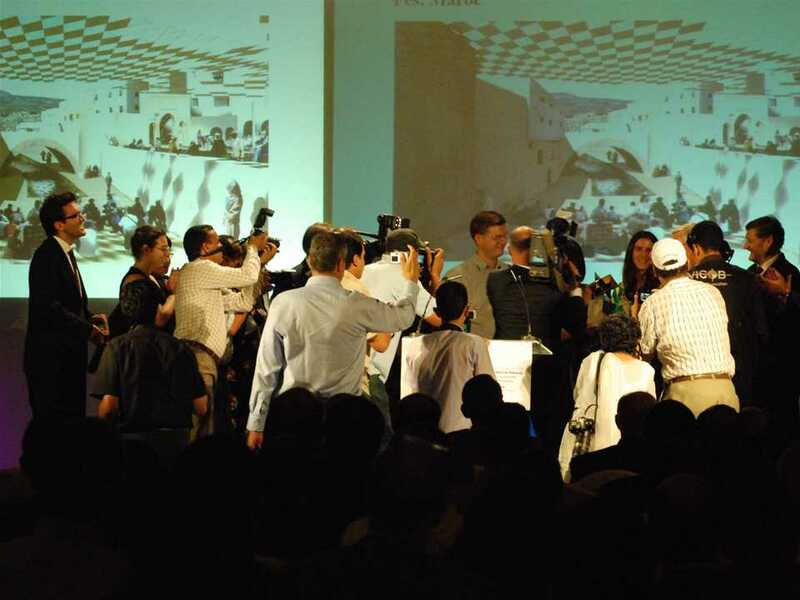 The third Holcim Awards competition cycle opens for entries July 1, 2010 . The Holcim Foundation leads a range of additional sustainability initiatives, in particular the Holcim Forum; the next will be held in Mexico City in April 2010 on the theme of Re-inventing Construction. The activities of the Holcim Foundation for Sustainable Construction are run in cooperation with renowned partner and associated universities: Swiss Federal Institute of Technology (ETH Zurich), Switzerland; Massachusetts Institute of Technology (MIT), USA; Universidad Iberoamericana (UIA), Mexico; Universidade de São Paulo (USP), Brazil; the University of the Witwatersrand (Wits), South Africa; and Tongji University, China. The Holcim Foundation is supported by Holcim Ltd and its Group companies in more than 70 countries, but is independent of its commercial interests. Holcim is one of the world’s leading producers of cement and aggregates, and was named “Leader of the Industry” in the Dow Jones Sustainability Index for the fourth year in succession.